Telford's most notable achievements in road-making are located in Scotland and the west of England and Wales. In Scotland, the Glasgow to Carlisle, the Lanarkshire and the Highlands roads stand out. In England and Wales, it's two segments of road for the Holyhead Road Commissioners  London to Holyhead and Bangor to Chester. Between 1803 and 1821, Telford was responsible for a massive volume of work in the Scottish Highlands  some 2,000km of new or rerouted roads and the building of over 1,000 bridges. Not only did these projects open up Scotland, they also gave employment to its poverty-stricken local populations, and, as Telford said himself, were key to "advancing the country at least a century". Many of the existing highland roads had been designed for the military and were impossibly difficult for commercial use. By careful selection of route, Telford avoided steep gradients, making them more accessible. The new roads had proper drainage and a uniform camber, avoiding water collection and wash-out. Solid foundations produced a highly durable result. His construction techniques were new and detailed written instructions were issued to all his contractors. Telford's Scottish roads were indeed durable but they were also expensive. By contrast, his contemporary John McAdam (1756 - 1836)  after whom macadam is named  used a significantly cheaper method, which naturally the authorities liked, but his roads didn't match the durability of Telford's. The Holyhead Road (1815-39) is widely acknowledged as one of Telford's greatest achievements and is the precurser to the modern motorway. It is especially noted for its bridges at Menai and Conwy. Its route, from London to Holyhead on the Isle of Anglesey, has became the A5 that we use today. Telford vastly improved the quality of stagecoach journeys and made dramatic improvements to the route. Road surfaces were improved, bends smoothed out and gradients lessened. He also provided improved infrastructure  milestones were made large and clear so they could be read from the window of a moving carriage, and toll houses were built to standard designs. These details of consistency and unification are precursers to our approach to motorway design. Telford also contributed to roadworks outside this country. He advised on the 161km road built from Warsaw to Brzesc for Tsar Alexander I (1825) and on a causeway in Bombay. From 1821 onwards, Telford acted as engineer for a handful of railway projects but he was never enamoured with the railways. He did see them as having a part to play in a national transport system but he considered their role to be linking canals and rivers to places that boats couldn't reach. In the early days, of course, railways were steam-powered and Telford felt that steam power would be better used for road vehicles as he feared the idea of railway monopolies. In 1831, he made a report to a Parliamentary Select Committee stating that steam carriages were practical, safe and should be protected from high tolls. However, the report had no effect and Parliament allowed turnpike trusts (roads were privately run at this time) to charge high rates. Undeterred, Telford carried on campaigning. By 1833, he was involved in a company intending to provide steam carriage transport along the London to Holyhead Road. However, the test run held in October that year didn't go according to plan. Using one of Charles Dance's steam carriages, the idea was to travel from London to Birmingham. The first 8km were covered in a smooth half hour. But the next day, with a cargo of VIPs that included Telford and Dance, the boiler burst and by the time a replacement part arrived there was only time to reach St Albans. The test was abandoned but Telford remained resolute that steam carriages could be used on roads. 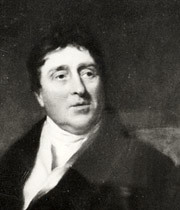 Despite his misgivings about them, Telford did work on the majority of railway schemes proposed in the 1820s, usually as a consultant, though many didn't go ahead. Projects that made it include the Stratford & Moreton (1821-26), Newcastle & Carlisle (1829-34) and Liverpool & Manchester (1827-29) railways. His advice on the lastmentioned led to a clash with another great engineer of the time, George Stephenson. When Stephenson started on the Liverpool & Manchester line, he had never worked on anything of this scale before. Major engineering work was needed  for tunnels, viaducts and embankments, and the need to cross the great bog called Chat Moss. Concerns were raised that the project wasn't being managed properly and was progressing slowly. Telford was asked to report and his findings criticised Stephenson's work as expensive and inefficient. In Telford's opinion, Chat Moss would never be crossed. However, Telford was proved wrong and his own report in turn was slated by the railway company. For his work on roads and bridges, Telford was dubbed the 'Colossus of Roads' (Southey) and these certainly are the projects that have made the most impact on the UK we live in today. In 1998, the Welsh Office designated the section of the Holyhead Road in north Wales as an Historic Route. These days his reputation has been well and truly rescued from the dip it suffered as result of events relating to his railway associations.